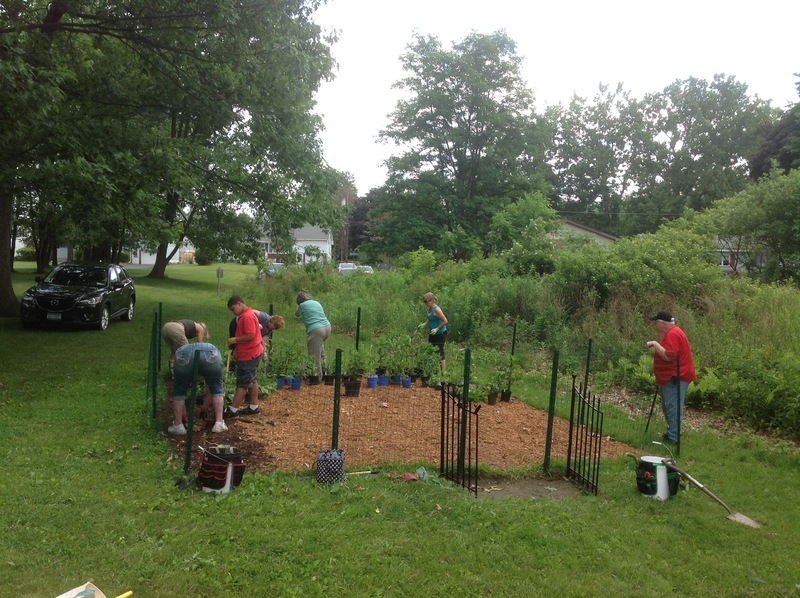 Native plant butterfly garden planting day in Schenectady, NY. This spring I was delighted to be contacted for a dream project: the volunteers from a nature preserve in Schenectady, NY contacted me to design a butterfly garden for the preserve. The Woodlawn Nature Preserve is a part of the connected Pine Grove ecosystem, aka the Albany Pine Bush, which is a series of geographically disjoined DEC managed preserves spanning from Albany all the way north to Glens Falls, NY. Karner Blue butterfly habitat is the keystone of this unique ecosystem in the barren Pine forests. The Friends of the Woodlawn Preserve group succesfully sought funding for a butterfly garden to be developed at the edge of the preserve, conveniently adjacent to a local elementary school. Wetlands inside the Woodlawn Nature Preserve. Some of the teachers at the school told the kids about the butterfly garden, and the kids were really excited and wanted to help plant. They started Parsley, Dill, Fennel and Sunflower seedlings in their classrooms, and they planted them after the volunteers finished planting the native perennials. This preserve is the first place I ever saw an eagle and knew what I was looking at. 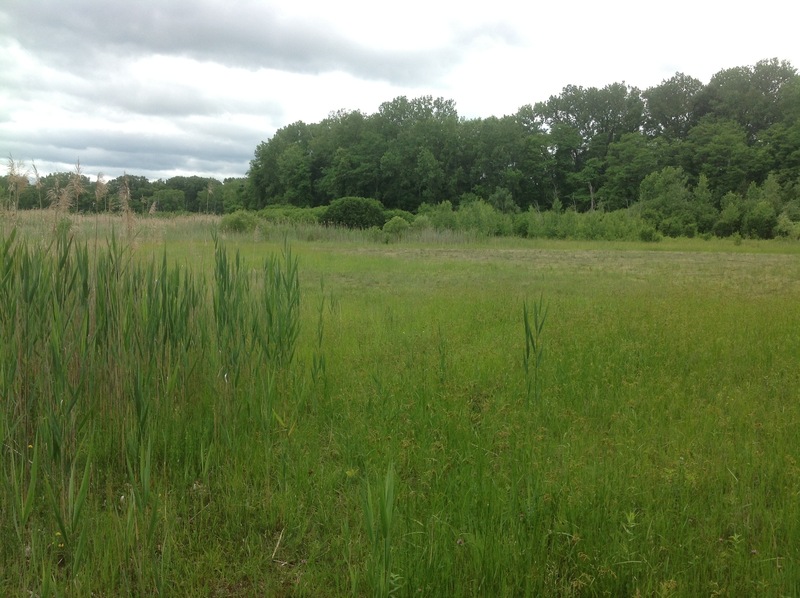 Sadly, the preserve (like many wild spaces in this day and age), is infested with invasive plant species like the Fragmites grass in this photo that devours our New York wetland habitat spaces. 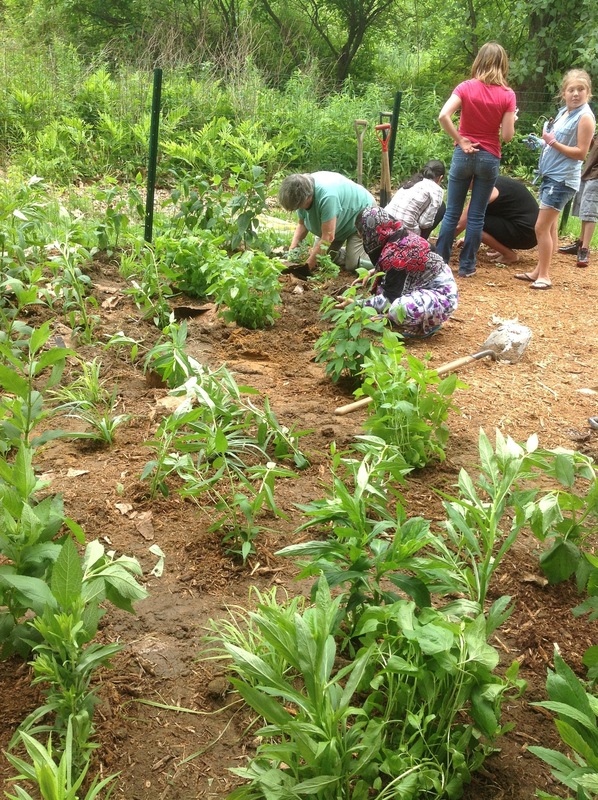 The butterfly garden we planted today is composed of 100% New York state native plant species. As the plants mature and form blooms that turn to seed heads, the copious songbird neighbors will eat the seeds, which will then travel with the birds into the preserve and enrich the seed bank. Students and volunteers planting native gardens together in Schenectady, NY at the Woodlawn Nature Preserve. We were sure to include lots of Swamp Milkweed (Asclepias incarnata), the Monarch butterfly host plant, and arranged to have three seasons of bloom by including early bloomers like Columbine (Aquilegia canadensis) and Golden Alexander (Zizia aurea) as well as some late bloomers like New England Aster (Symphyotrichum novae-angliae) and Ageratum (Eupatorium coelestinum) in with the famous, long lasting mid-season bloomers Joe Pye Weed (Eupatorium maculata) and Cardinal Lobelia (Lobelia cardinalis). Since the garden site is literally several feet from an active wetland, we had to choose plants that can tolerate (and even thrive) in wet conditions. The immediate gratification of the wetland proximity will be high wildlife activity, probably overnight. Butterflies, songbirds, hummingbirds, dragonflies, native bees of all colors will become a lot more noticeable in the coming weeks and months.